This is the first Australian made natural toothpaste that is listed with the TGA. Containing Potassium Nitrate, known to help relieve sensitive teeth and gums. Grants Sensitive Toothpaste with Mint, helps to relieve sensitive teeth and gums. This Toothpaste contains no harmful aluminium, fluoride†, sugar, or sodium lauryl sulphate, no parabens or genetically modified ingredients. 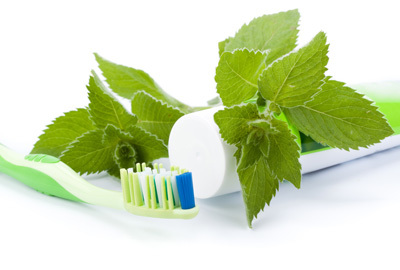 Grants Sensitive Mint Toothpaste also contain the beneficial herbs of Mint Oil, Eucalyptus Oil, Cardamon, Celery, Caraway, Coriander, Dill, Thyme, Rosemary and Sage. These herbs provide pleasant aromatic flavours, have beneficial effects on digestion and cleanse and sanitise the palate. *Natural Herb Extract - Mint Oil, Eucalyptus Oil, Cardamom, Celery, Caraway, Coriander, Dill, Thyme, Rosemary and Sage. Contains no genetically modified ingredients, mineral oils or microbeads. Certification: Certified Kosher and Certified Halal. Thank you, you folk are amazing. I got my order the next day and it is all terrific. Many thanks!